Bombardier Transportation and Hitachi Rail Europe have agreed to submit a joint bid for the £2.75bn contract to supply a fleet of high speed trainsets for High Speed 2. In November 2017 project promoter HS2 Ltd shortlisted Alstom, Bombardier Transportation UK, Hitachi Rail Europe, Patentes Talgo and Siemens for the rolling stock design, manufacturing and maintenance contract. The formal tendering process is due to start later this year, with the contract expected to be awarded expected in late 2019 and entry into service planned for 2026. Bombardier and Hitachi said the proposed partnership would build on their co-operation when supplying ETR1000 Frecciarossa high speed trainsets to Italy’s Trenitalia, and draw on their UK manufacturing plants in Derby and Newton Aycliffe, their UK supply chains and their networks of maintenance facilities. 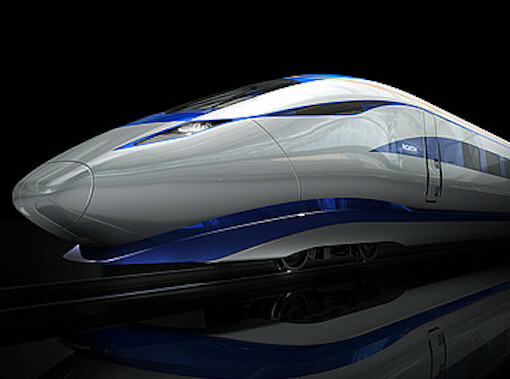 Alstom Transport, Patentes Talgo, Siemens and CAF have also been shortlisted.